The magic of the Arabian Nights in a scented bouquet with notes of sandalwood and patchouli, blended with spices and rose. This elegant scented bouquet will fit easily into your interior. Its cube shape, its silver-coloured ring and its black engineered polymer twigs will perfume the room with our Amber Powder fragrance for many weeks. Its spice scents boost the elegance of rose and then the voluptuous beauty of ambergris is highlighted by sandalwood and patchouli. 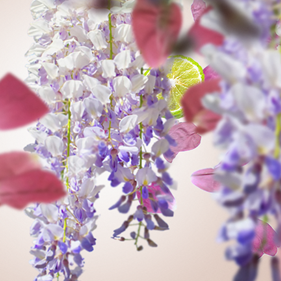 A veil of white musk then envelops a base of balm and vanilla. Diffusion time, roughly 4 weeks. The black designer twigs are made from engineered polymer which guarantees unrivalled perfuming quality: diffusion is optimised and the fragrance is enhanced. Refillable with the 200ml refill for scented bouquet. To ensure your well-being, our products meet an extremely strict quality charter. 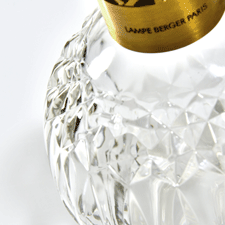 Maison Berger Paris undertakes to only diffuse into the air substances that are perfectly mastered and controlled. The Amber Powder perfume is an intense fragrance; if you want to reduce the intensity, just remove a few twigs. Regularly turn your twigs to reactivate the scent. Change your twigs each time you change the perfume. Instructions, tips and hints: the scented bouquet universe reveals all.